The Woodsure “Ready to Burn Scheme” is an initiative brought to challenge the increasing issue of pollution. 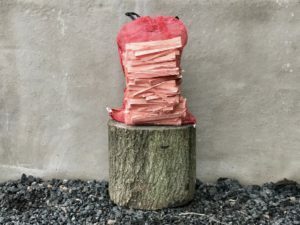 The “Ready to Burn” scheme helps raise awareness of the dangers of using wet or un-seasoned wood in your fire or wood stove. The scheme is government and industry backed with both DEFRA and HETAS lending their support. 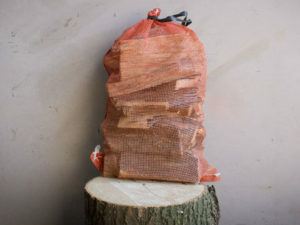 The Ready to Burn scheme uses vigorous testing to ensure that the firewood is fit for purpose by maintaining a consistent moisture content. Ready to Burn firewood must be seasoned either by air drying or in a kiln before it is ready to use. 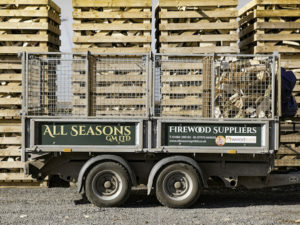 Only firewood suppliers who pass the regular inspections and maintain a moisture content of less than 20% are awarded the right to sell under the scheme. Seasoned logs with less than 20% moisture burn more efficiently than unseasoned logs, and reduce the environmental impact. Creating a healthier environment and a quality assured product. Using Ready to Burn in place of wet wood fuel is proven to reduce the levels of emissions in the air we breathe. 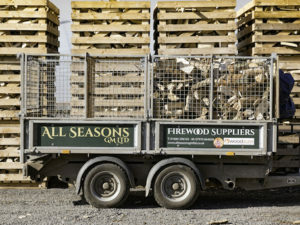 Woodsure is a not-for-profit organisation, striving to raise the quality of woodfuel in the industry. 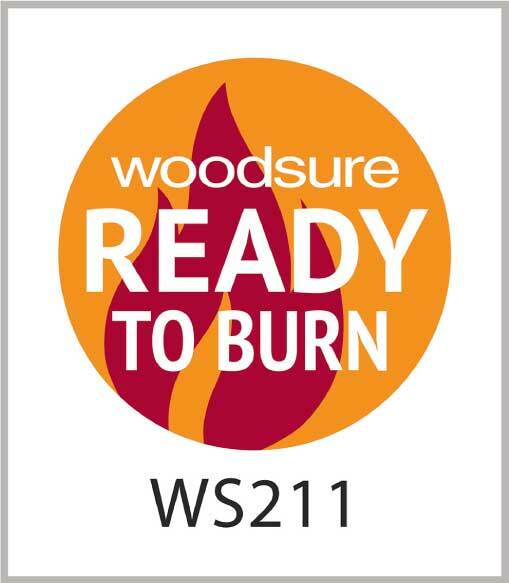 The Woodsure certification scheme and its logo show woodfuel users that All Seasons GM Ltd produces woodfuel products that are manufactured from sustainable woodlands and to a recognised quality standard. All Seasons GM Ltd are proud to be the first Woodsure certified supplier within the Tewkesbury area. A 2kg unseasoned log with 50% moisture is half water, i.e. 1 litre of water. Burning wet wood means that much of the heat generated is used to boil off excess water leaving less heat to be passed to your room or to a water- heating or central heating system. Burning wet wood creates more smoke and emissions which are not good for those breathing them in. Appliances are also generally dirtier when burning wet wood and you will have to buy and burn more wood to keep you warm. Wet wood should be seasoned or dried for up to 2 years or kiln dried at a controlled temperature before use to get it to 20% moisture content or less. Any appliance and chimney system will suffer from smoke produced from wet wood, which increases maintenance and extra cost to the homeowner.